Cardiologist In Dwarka, West Delhi. Diabetologist In Dwarka, West Delhi. Consultant At : Rockland Hospital - Dwarka, west Delhi. Confirm to Dr. Amitabh Khanna that you found their Phone Number(s) from Doctors In Citi. M.B.B.S., F.C.C.P. Cardiologist In Dwarka, West Delhi. Diabetologist In Dwarka, West Delhi. Clinic-Flat No.-302, Gangotri Apartment, DDA Flat, Pocket-1, Sec-12, Dwarka, West Delhi. Dr. Khanna's Diabetes Specialty Center Dwarka, West Delhi is an state of art center with all latest facilities. we believe in individualized care. we have all the latest equipments to diagnose and detect diabetes and it's complications at earliest stage. 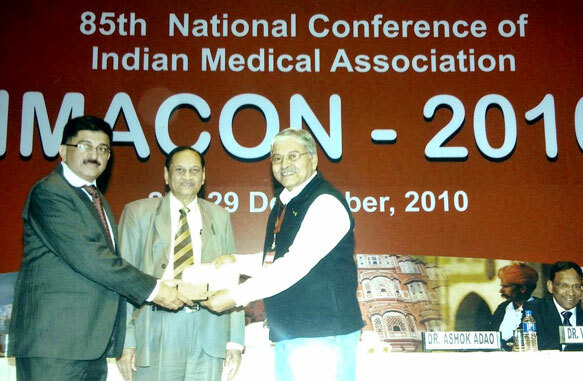 Dr. Amitabh Khanna who is founder president of IMA DWARKA (a branch of INDIAN MEDICAL ASSOCIATION ) was adjudged as BEST BRANCH PRESIDENT out of about 2000 branches of Indian medical association all over INDIA. Dr. Amitabh Khanna is a renowned Cardio-Diabetologist in Dwarka, West Delhi received many prestigious awards.